As an artist, I think beauty is one of the most important things we can experience as human beings. I'm always looking for that "thing" that makes us feel, whether it's as small as a flower petal or large as the stars in the sky. I'm always ready to stop and see the beauty that is near. My wife, Dr. Amira Rose Davis, says this makes me the most annoying person to walk with because I walk slowly and stop all the time! I want to witness the amazing lines, colors, textures, and harmony happening all around. The world is an aesthetic masterpiece and it's my passion to capture it's moments. This is the eye I bring to your wedding day -- I see you and I see your day. I look for the beauty in you, in your love, and in this event that you've created together. And then I capture it all, from a shared glance, to the tears of laughter, to the parade of love surrounding you as you dance the night away. On your wedding, most likely, you will spend more time with me than anyone else. I know that I'm not only there to capture your day -- I"m there to make sure you have the time of your life. Let me reassure you: I go the extra mile. I know how these days go and I know what You'll need. I'll be there with the sewing kit if a button falls off. I'll kick people out of the room if you need a moment to breathe together. I'll stop traffic to get that perfect shot. I know how to both stay out of the way and at moments command attention so you can truly enjoy your wedding day. And right before the ceremony, I will always remind you to breathe. This is your moment and it is here and it is amazing. My grandmother gave me my first film camera and I fell in love. At the time, I just finished undergrad studying digital art and multimedia design. I always saw artistry in the world and now I could bring that to my camera. I took pictures of everything from the plants in my room, to water droplets on my sink, to fresh snow after a storm. I couldn't put it down! I didn't wanted to put it down! Capturing moments became my art. Photography also uses the best of my technical skills. I love technical skills required to capture a great image. As I honed my craft, I thoroughly studied the tools of the trad and mastered them long before the idea of this business ever entered my mind. Now with a Master's in Arts Administration, I'm able to successfully bridge the art with the business to create perfect full-time career. In 2011, I photographed my first wedding. Since then, I've spent the majority of my weekends with loving couples, watching them honor their relationships in from of their loved ones and begin a new and exciting chapter in their lives. Since 2016, I've become a full-time wedding photographer. I've seen weddings of all kinds, rain and shine, snow and heat. I've learned the power of a different perspective, sometimes up to my knees in mud or climbing trees to make sure we get the best photograph. It's been incredible and an honor to share this moment with so many couples as they walk through this vulnerable, yet powerful moment in their lives. More than anything, I love my family. My wife, Amira, and I got married on August 20, 2010, with our 2yr old daughter by our side. Since then we've expanded our family and our hearts to a party of six, Samari, Jackson, Zachary, and our wonderful dog Scooby. We are so proud of the family and the life we've built together. Our children are the cutest people that have ever breathed. I might be biased. All of my dreams are to make their dreams come true. Speaking of dreams, we are a huge Disney family. We love everything Disney. While I love the parks with their breath-taking food and experiences, Amira loves the cruises, taking us all around the Caribbean to explore new islands for new adventures. And the kids just love to tag along. Really what kids don't love Disney? Here are some of favorite pictures from our Disney vacations. In 2017, Amira and I travelled to O'ahu, Hawaii for work/vacation. While here, my wife gifted me a sunset island photography tour. Words can't describe the amount of fun I had capture the breath-taking beauties of the island. Here are some samples of my landscape photography around the island. More trips are in our future for sure, so stay tuned! "We cannot say enough good things about michael. Between our engagement and our wedding we moved, and he was so accommodating, even hiring an assistant in Philadelphia for our special day. He worked closely with us, and wasnt afraid to tell us what to do, both during engagement photos and the wedding. He also handled our rehearsal dinner! You know your photographer is dedicated when he lies down in a street or on the floor to get the best angle possible. 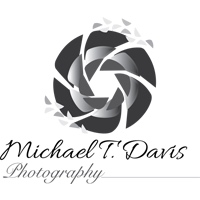 Highly, highly recommend Michael!"